This entry was posted in Dream Matchup, MLB and tagged 1993, 1997, 2003, all time, baseball, championship, cleveland indians, dream game, fantasy, florida marlins, franchise, GREG MADDUX, hero, history, JEFF CONINE, LIVAN HERNANDEZ, matchup, Miami, Miami marlins, MLB, MR. MARLIN, mvp, N.L..C.S., national league, new york, pro player stadium, rookie, sports simulator, title, who was the better team, world series, yankees. Bookmark the permalink. Nice analysis. 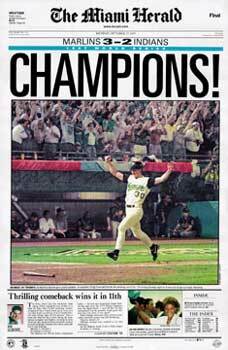 And I totally agree about that 1997 team. There just isn’t much similarities between the two. 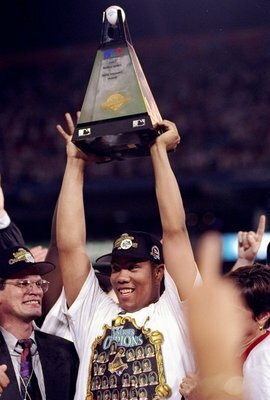 And there was an intangible; the excitement, not just in Miami, but throughout a large portion of the country. It was David clobbering Goliath! Thanks Hank, I had a lot of fun with that article. 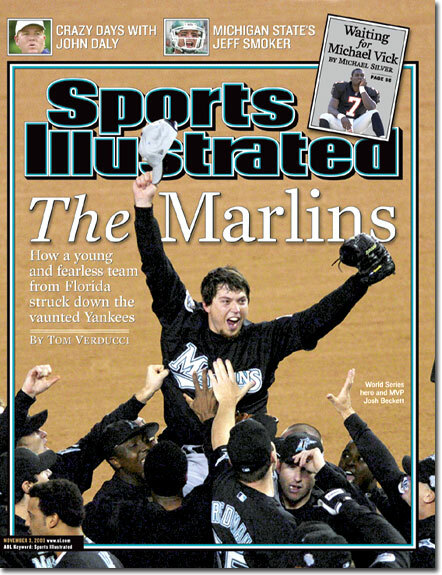 The win in 2003 was by far a bigger national news getter and it was a great time to be a Marlins fan.